Ray has been working on another good on-demand tutorial: EngravingLessons.com and has it completed. 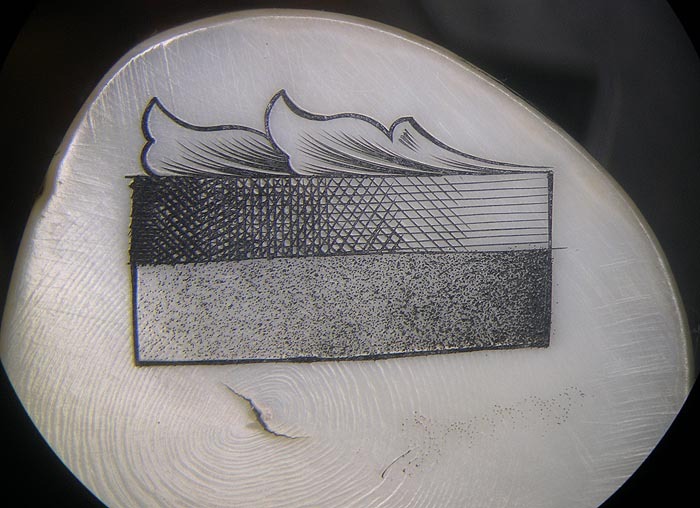 This tutorial covers doing scrimshaw with a power tool. Power tools make the work easier and faster for carpenters, mechanics, artist, etc. This is no different. Using your AirGraver as a power tool greatly speeds up the scrimshaw process. There are two projects in this tutorial that cover both line scrim and dot/stippling scrim. Ray covers both tools and process. The tools are very simple and there are only a few that you need. 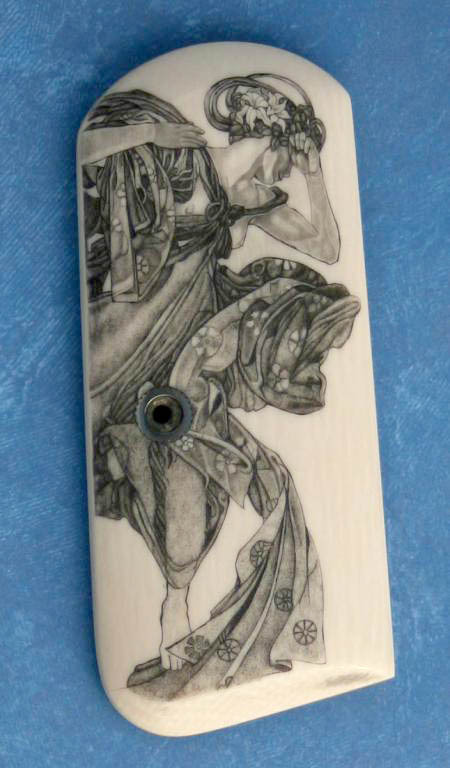 Ray,your how to tutorial with the Airgraver is going to be a big hit with anyone interested in the art of Scrimshaw. J.J.
One question for Steve or Ray,i'm interested in this tutorial,but i have a dude if you can make that with a airgraver...this tutorial can be applied to the metal too like a sort of bulino work? 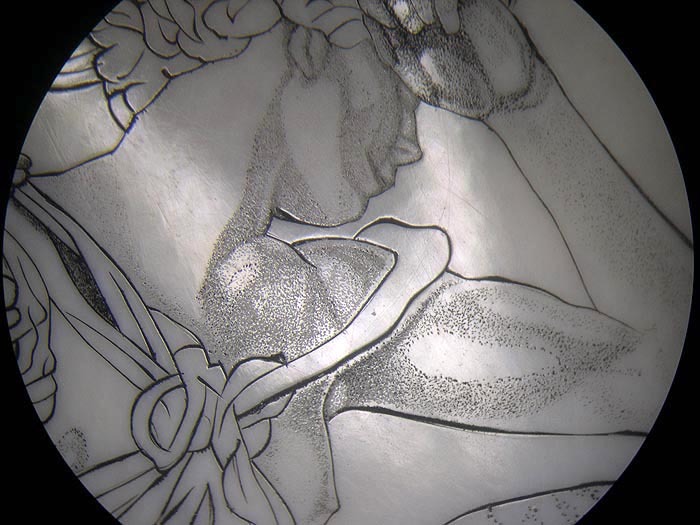 Years ago I did stipple a lot of my engraving images. Now days I use a true cut dot method rather than stippling. In short you can do this on metal but it is not the same as bulino which actually cuts the dots out. If you use this stipple method on metal you will have to sharpen punches more often but it will work. Ok Thank you Ray for your qick answer,was just for curiosity,i have just purchase your tutorial,i`m very interested in this tecnique but i `m a very newbie with scrimshow,i'm shure that will be a master class XD. If you have questions feel free to ask. I will do my best to give clear understandable answers. Great tutorial ! with very good photos and very well explained ,a very helpfull master class thank you Ray! Me too,will be great know something about material for practice and wich ink work well,will be very helpfull thanks. AS far as practice materials, a lot of people use various plastics. I have seen scrim done on most of the fake and faux ivorys like Micarta. White hard plastics of just about any kind should work for practice but the polyester plastics seem to be favored as an ivory substitute. I have seen people practice on antler, horn and bone. You have to watch out for porosity on those materials though. Many of the knife material suppliers like Jantz, Texas Knifemakers Supply, Masecraft, etc . Should have stuff to practice on. As far as suppliers of real ivory here is what I turned up with a google search.